Will it support networks in countries other than USA? Can the SIM contacts be added? Does the Bluetooth rele work? can the messages be deleted? To all those that are moaning and critisizing the new iphone which hasnt even been released yet. Don`t buy it! no one is forcing you. simple. my friend has the iphone and the bluetooth doesnt even work !!!! Can you download games on the iPhone? i was so excited for iphone 3G. i've been waiting for it for so long. but how disappointin. 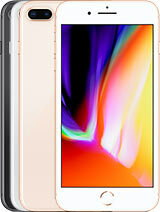 its a disgrace for apple to release such a phone that doesn't even record videos and has a 2 mega pixle camera. i mean TWO???! the crapiest phones have better cameras than that. i'm just going to wait for the next series. maybe they'll decide to get upto date with time. i want to say something to the person who has last given a comment. 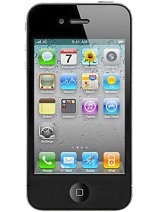 If you like apple then eat it but this mobile is amazing and worth its value. Is it supporting JAVA Softwares?? Rumel, 29 Jun 2008I have a Apple iphone model MA712LL but using the phone I can't see the list of my contacts na... moreI don't believe this to be possible; to confirm this, contact Apple Tech support via e-mail. They generally respond within 24 hours (during the week). Limberg Berik, 29 Jun 2008Another Mediocre Phone... NEXT!In comparison to the iPhone, and its innovations, all other phones are two cans connected together with a piece of string. I have a Apple iphone model MA712LL but using the phone I can't see the list of my contacts name saved in the SIM directory. So guide me how I can see or copy the contacts from the SIM card. Almost certainly not Charles Dickens' last words: "It was the best of phones, it was the worst of phones, it was the age of the iPhone, it was the age GSM,..."
Alice, 28 Jun 2008I have heard that while typing an SMS on apple iphone, it does not tell you how many character... moreI have the iPhone and can confirm it does not show the amount of characters which have been typed in an sms. So, there is no easy way to determine if it will be one message or more. I have to admit this is a very annoying issue. Wes, 28 Jun 2008First, Apple claims that they are selling the Iphone for $199 but if you do a simple calculati... more1. Any 3G service plan will cost the same with the same features. 2. Neither AT&T will support or insure a phone they do not sell. 3. 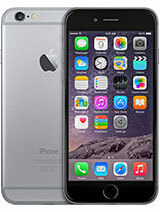 If you buy an unlocked phone (which I'm not saying is a bad thing) you will pay much more up-front for your purchase. Then, if you add the features, it will cost the same per month. 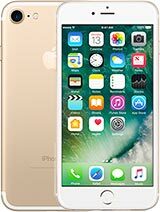 So, although the 3G iPhone is less up-front but costs more in the end, it does not cost any more than another $199 phone with the same service. 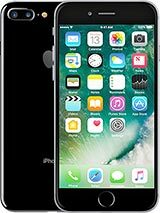 If you purchase a phone not supported by AT&T or T-Mobile they will not insure and/or support it. Functions may or may not work. You are on your own with this. E.g. 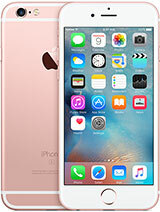 The iPhone is sold by T-Mobile in Germany. However T-Mobile USA will not support it. It's the same with most carriers regardless of the phone. I.e., A T-Mobile UK N95 8G is not supported by T-Mobile in Germany or the USA. Jack, 28 Jun 2008what you are saying is so stupid. i video call all the time.. everyone i know has 3G and uses ... moreAre you aware you have used the fallacy of Personal Experience. 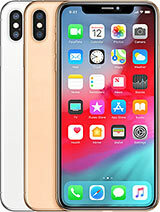 So, try this: Since the iPhone is a US phone (essentially) - tell us viewers here at GSM Arena the make and model of the mobile phone(s)—which have video conferencing capabilities—are sold by either T-Mobile or AT&T wireless in the US? What do you think this should tell you? I have heard that while typing an SMS on apple iphone, it does not tell you how many characters you have typed. does anyone know if that is that true?